1. 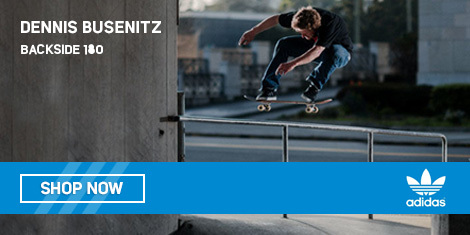 6 ft./ 4 ft. bowl snakes into the street course. 2. Pretty high 9 ft. rail. 4. 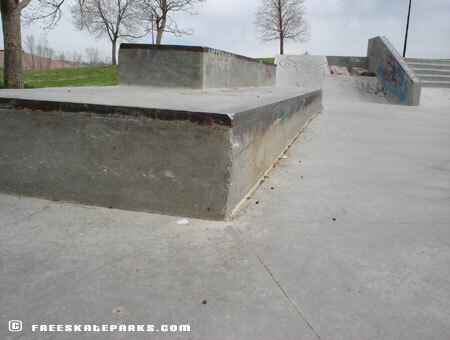 Five step with ledges on both sides. 5. Ledges with metal edges and transition on one side. 6. Snake run coming out to the street course. 7. 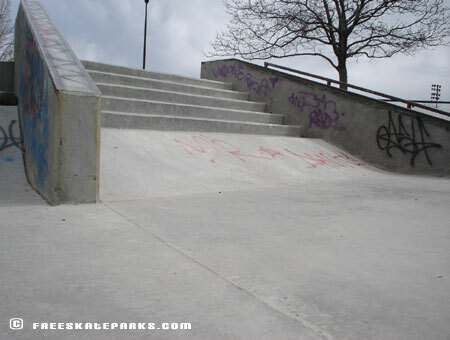 One of the many rails at Sheridan Skatepark. 8. 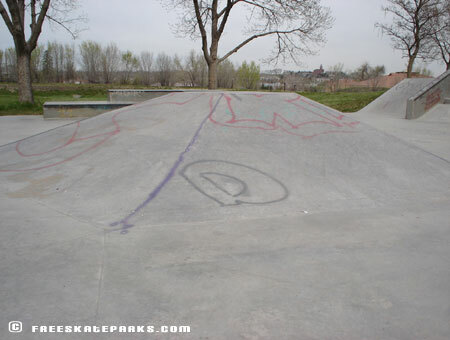 6-sided pyramid in the middle of skatepark. 9. A rollin on a bank? 10. 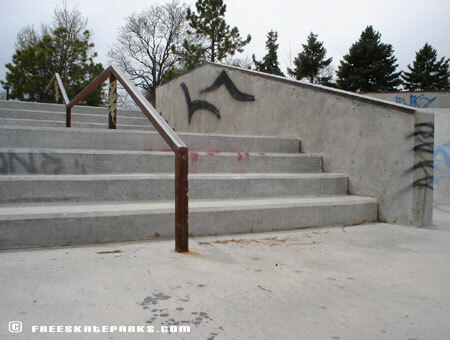 Double-set with kinked handrail. Opened June 2004. 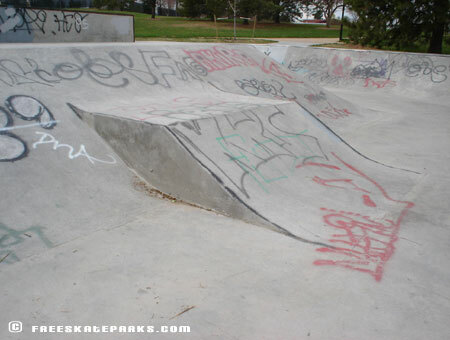 This skatepark is sick, but really hard to find. 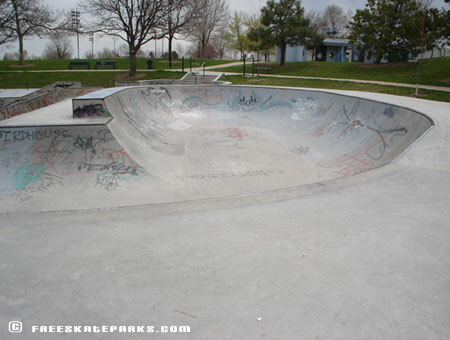 The skatepark features a 6 ft.to 4 ft. bowl that snakes into the street course. It has a double-set of stairs with a rail. 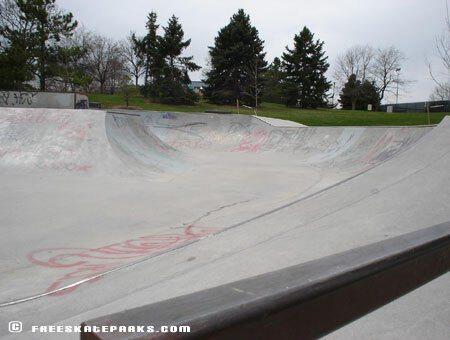 The skatepark features rails of all sizes. 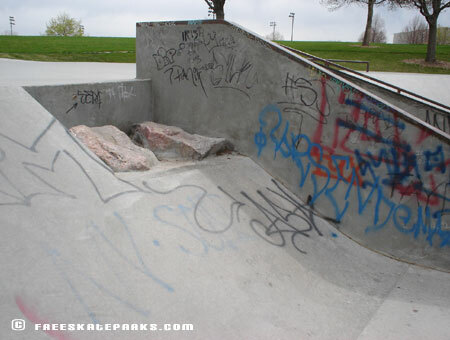 A pyramid in the middle of the course, ledges with metal edges, and my favorite the rock gap. The students of Sheridan High School got it made.